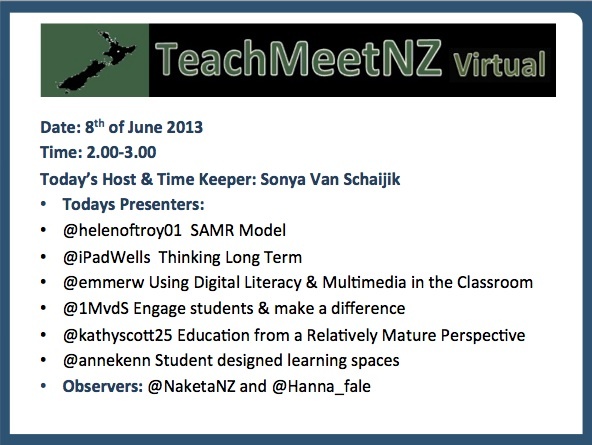 Today I hosted TeachMeetNZ virtual number two. It has been a busy and productive day. As I reflect on the process I can identify links that I have with each of the presenters. I felt excited with the range of talented educators sharing today and they presented from as far south as Christchurch to as far north as Orewa. Part of my sabbatical is about personal and professional development and about furthering my own understanding and learning with ICT using SOLO taxonomy. I am passionate about ownership of learning. In particular I am passionate about teacher’s learning. 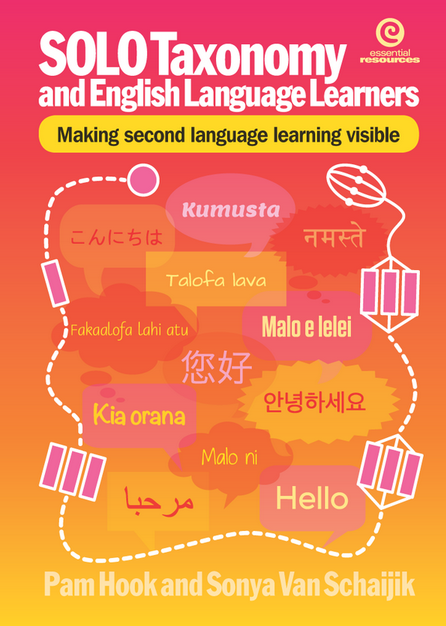 The TeachMeetNZ project developed through a variety of events. The first was presenting at TeachMeet International. Then attending a Google Community day and hearing about google hangouts. After that was attending another TeachMeet International and the equipment failing. I was interested in seeing how teachers worked together to problem solve. Finally having a team of teachers help me test and problem solve using google hangouts for presenting. I identified a vehicle for teachers to share their own learning and to have the opportunity to rewind their learning. From the learning I undertook as an efellow in 2011 I identified that my understanding of hyperconnnectivity at extended abstract would include developing a virtual sharing space where teachers could have face to face interaction and this would include using hashtags to pull discussion together, using a variety of literacies when publishing and about giving and receiving feedback. I was better prepared for todays session and had researched some information about each of the presenters so that I could make personal; links with them. In addition, I had the opportunity to preview their presentations so that I could thank them and make a positive comment at the end of each nano presentation. When I rewind my feedback, I find that I could be saying more so will use this for next times learning. So where to next, today confirmed that I am still focussed on the tool and that I must provide an opportunity for discussion between the presenters.